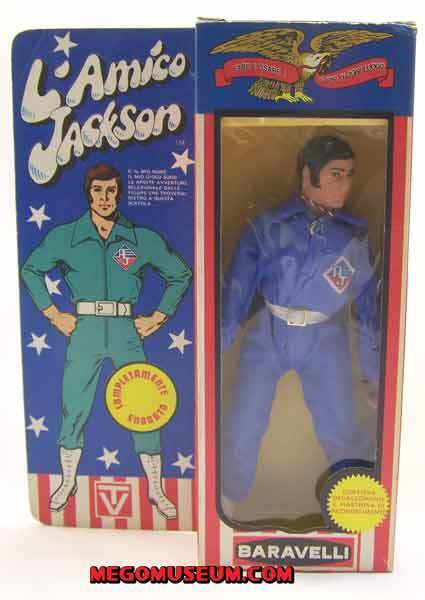 Action Jackson was released in numerous packaging styles over his three year run. 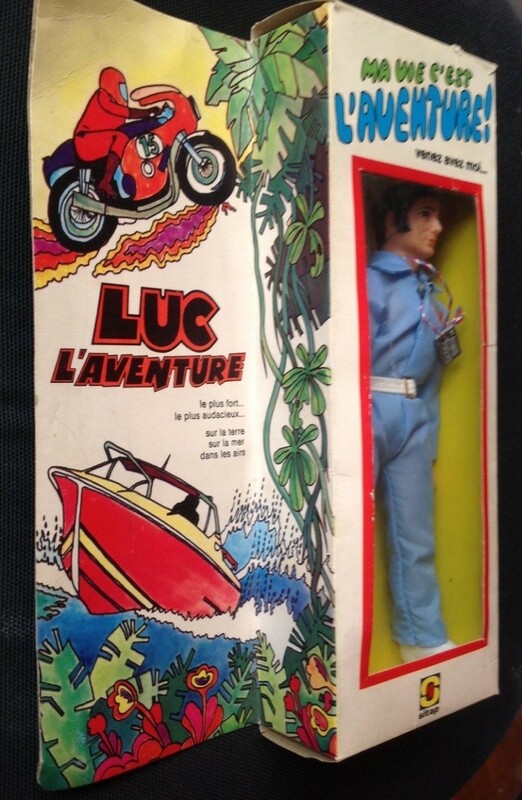 He was also released World wide in many different incarnations. In Canada, Holland, Germany and South Aftica, he remained “Action Jackson” but in other parts of the world he was revised. 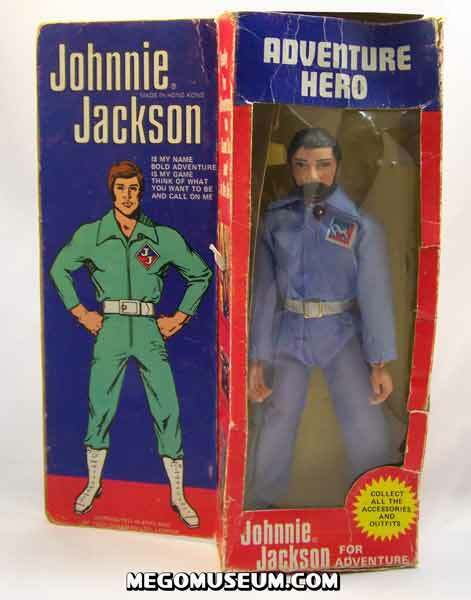 The original Action Jackson is the most commonly found to this day, mostly thanks to two separate warehouse finds in Canada. 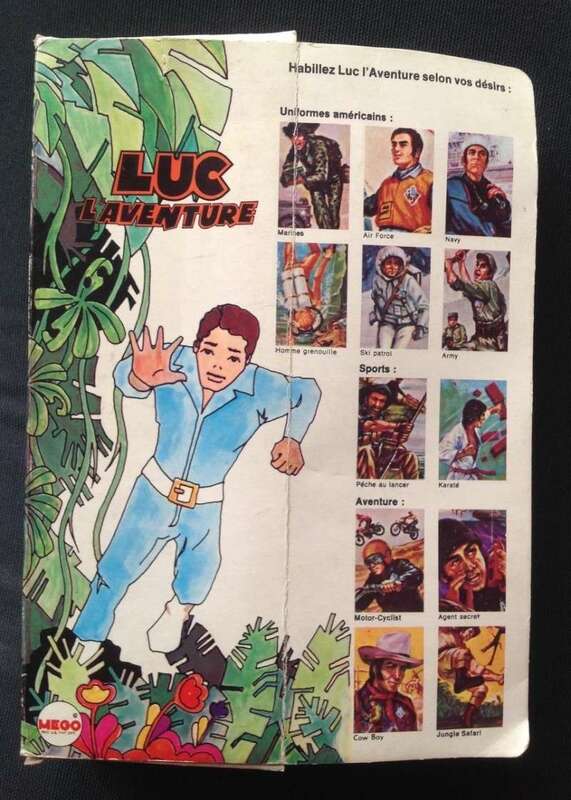 This version includes six AJ tattos, Mego had originally planned to use these stickers as a form of “Trading stamp” where kids could fill booklets and get prizes but somewhere down the line this idea was abandoned. 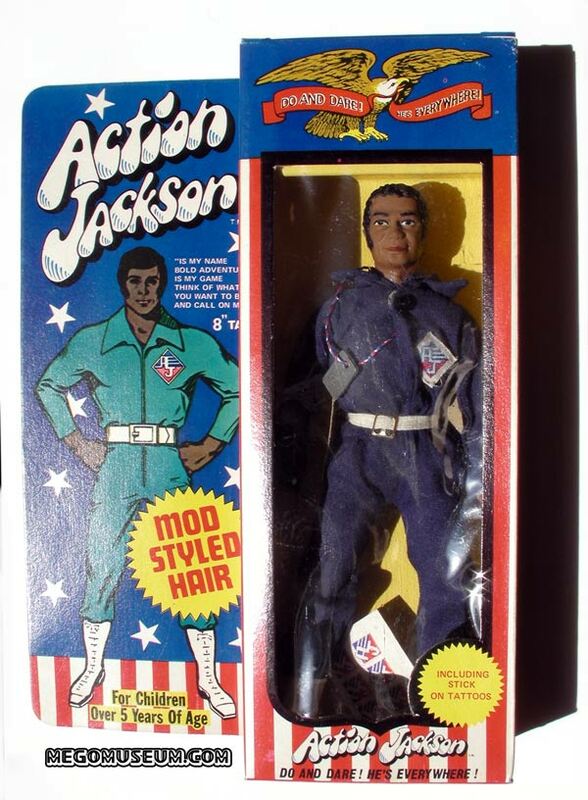 Contrary to popular belief, Mego did give the black version of Action Jackson his own specific packaging. This is a difficult item to find most likely because this figure was the short pack of any case. Black AJ was not released in Canada. Photo is courtesy of Clem So. 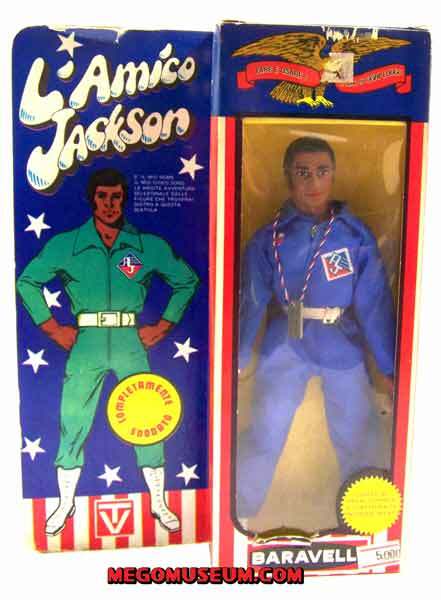 This later edition type 2 version of Action Jackson has a revised package that no longer mentions the tattoos. The dolls are usually found in their Karate or Aussie Marine outfit. These figures have appeared in West German catalogs. 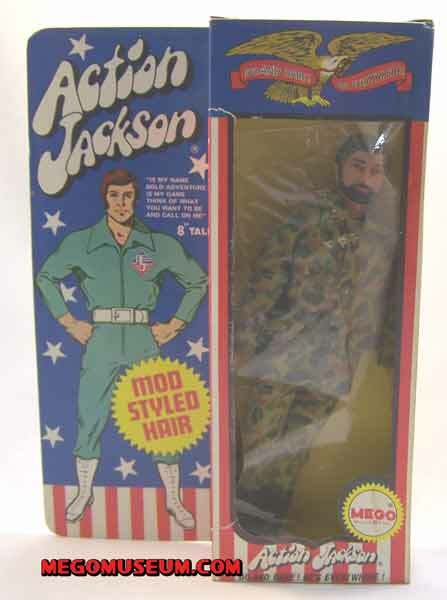 In the UK, AJ became “Johnny Jackson” no doubt because the word Action was too closely identified with Palitoy’s verions of G.I. Joe, “Action Man”. Boxed outfits are relatively easy to find but it takes a little more work to find a boxed version of the man himself. L’Amico or “Friend Jackson” was the name Barravelli dubbed him in Italy. 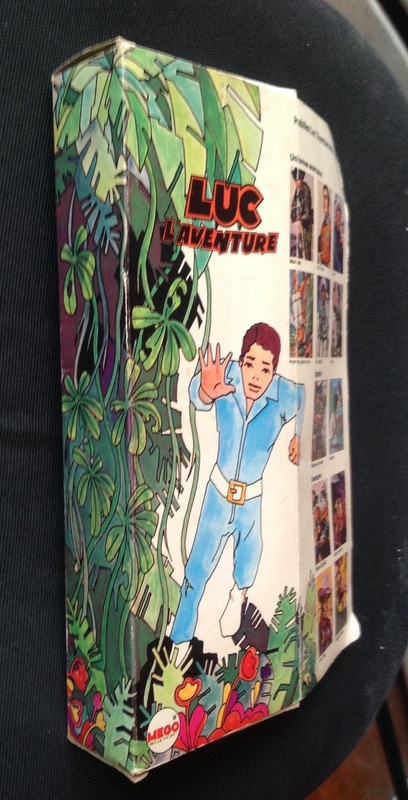 Much like the US black L’Amico Jackson was released in his own specific box. At this time, this is the only other country that released this figure outside of the US. . 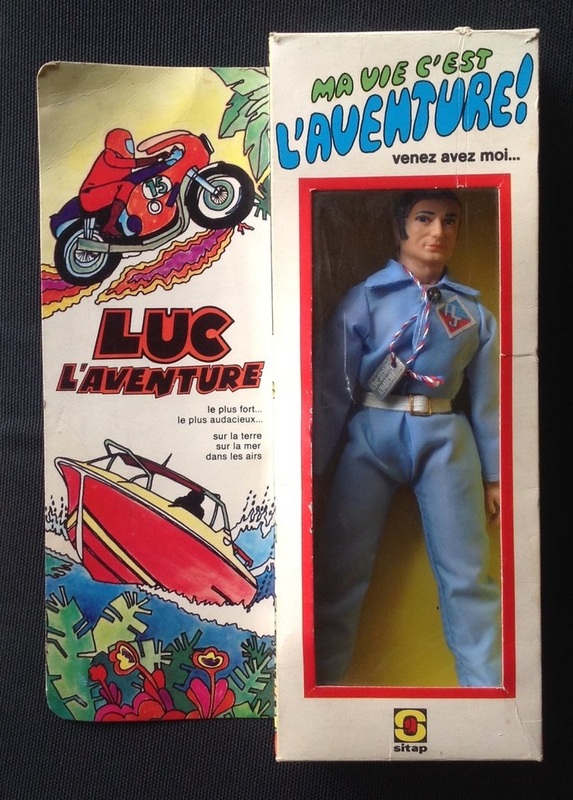 In France, Action Jackson was known as “Luc L’Aventure” or “Luke of Adventure” which sounds clunky to the anglophone. While boxed outfits have surfaced for years, the Mego World was rocked by the first official sighting of a boxed Figure this year. Many thanks to Alessandro for sharing this amazing discovery.